Morticia Addams Bartlett, originally uploaded by AndyBartlett. 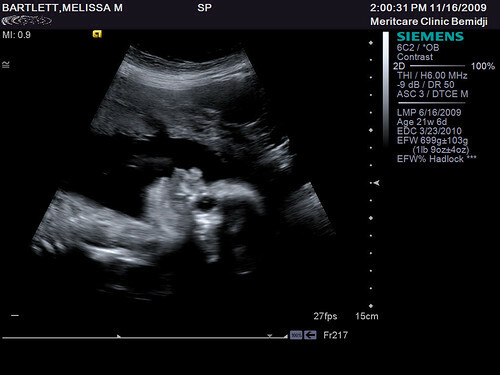 Yep, the curse continues… Girl baby confirmed. Third girl for me; second for Melissa and I; eighth girl in eight tries, combined, for my two brothers and me. One of those two idiots will have to try and produce the mythical Bartlett male heir, because this is it for me. Good luck, suckers. More pics at Flickr; check the sidebar, over there –>.